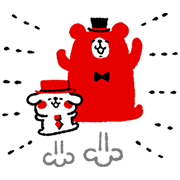 http://www.line-stickers.com/ – Kanahei Cashes In: Akagi-san & Shiromaru Line Sticker | Kanahei has done it again! 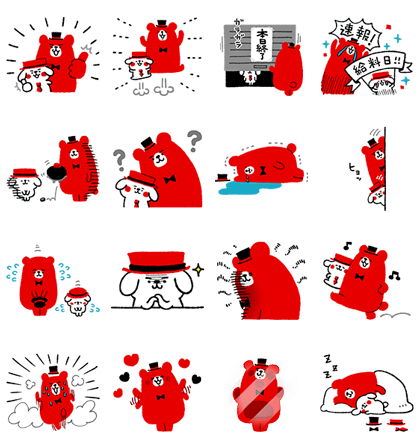 The hottest illustrator on the block is back with an exclusive set of stickers only available to friends of UFJ Bank’s! These designs are so cute you’ll want to give yourself a hug. Friend Mitsubishi Tokyo UFJ Bank’s official account to get this set for FREE! Available till August 3, 2015. Publisher : The Bank of Tokyo-Mitsubishi UFJ,Ltd. Copyright : The Bank of Tokyo-Mitsubishi UFJ,Ltd.